It's Chris here, the final member of the team to introduce myself, and currently posing as Fergus while the RSPB IT cogs crank into gear and get me a login sorted. To add to the confusion, Fergus and I also share a ginger hair and beard combo, and having been mistaken for him at least twice already, I've decided to answer to either just in case. Hey there guys, hope you've all had a lovely start to the new year. Just a wee intro from me to say hello. I am currently stepping in as the Visitor Experience Manager to cover the great loss of Chris. 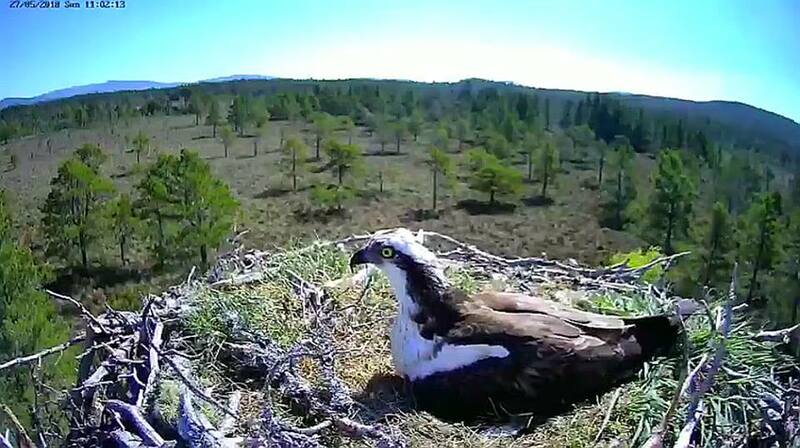 I will do my best to keep you posted on the goings on of the Osprey Centre and the reserve. Update...but not much to report! Hey Bloggers, it's Emma here again with a brief weekly osprey update! I hope you are all doing okay? For those you that are wondering, I’m doing just fine, a bit frustrated with how the season is going, but I still feel lucky to work in such a wonderful place with some beautiful wildlife. So let’s cut to the chase then. Hello bloggers! We apologise for the lack of blogs recently - we have been two team members down for a while now, due to personal reasons, so we're all having to work extra hard to make sure our visitors have a great time when they come to the Osprey Centre, leaving little time for writing blogs! This week we have seen George bringing in a few fish for EJ, and he has also spent some time incubating the eggs and attempting to mate again. Who knows? Maybe he is finally putting the pieces of the puzzle together and we remain optimistic at Loch Garten that in time, he could be a loyal and successful partner for EJ. George incubating the eggs after giving EJ a fish! Another quick update from the nest to keep you in the loop. Just a quick update from the front-line, penned during my lunch-break on a fine, if a little chilly, Friday afternoon.